How can I be less emotional? Do you find yourself helplessly crying when you feel situations beyond your control or getting uncontrollably angry when you see situations and people you cannot accept? Or that sudden distaste and revulsion shows up on your face at times that pushes people away? You wish you had not spoken aloud your feelings because ultimately it showed you in a bad light and people started making judgment of you. 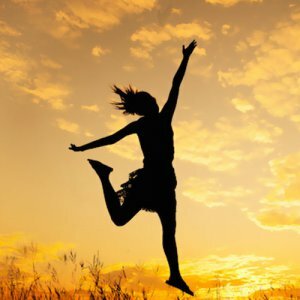 How long and how often can you control your feelings from showing up and finally spoiling your relationships or inhibiting you from finding a solution? When you are emotional, you lose your sense of judgment. In an emotional state you seek gratification of your needy feelings or seek to vent out the negative feelings to find short term relief. Emotions in sharp contrast to feelings obscure you from your true nature which is full of warmth, compassion, understanding and forgiveness. So how to be less emotional? Emotions happen because you give definition of “good” and “bad” or “pleasure” and “pain” to people or situations. This identification happens because of ego that makes you look at every person or situation from personal reference and not look at the whole picture. One needs to meditate on these definitions to see the truth. So if you think someone “criticising” you is bad, look at this definition in meditation. You will see that it has many many memories attached to it from the time you gained consciousness as to how you were badly put down. Look at these memories as a witness. In time you will realise how you “expected” to be criticised now and this was what was attracting such situations to you. Realise your right to protect and defend yourself and also to take these things more light heartedly as actually most of the time they are not done with that intention. People are generally not cruel. Within each of us is someone who seeks love and appreciation. We hurt others to vent out our emotions of pain. Hurting in no ways is a source of pleasure for anyone. As understanding will dawn, realisation will happen. 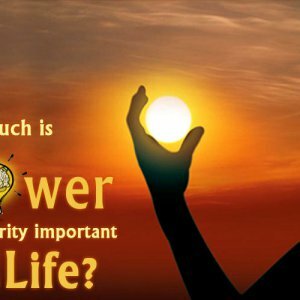 ← How much is Power or Authority important in one’s Life? How much is Power or Authority important in one's Life?